Today, we spoke with Mr. Edin Branković, senior representative for BiH in Short Track Speed Skating who performed at the World Championships which was held between March 11th and 13th in Seoul, South Korea. 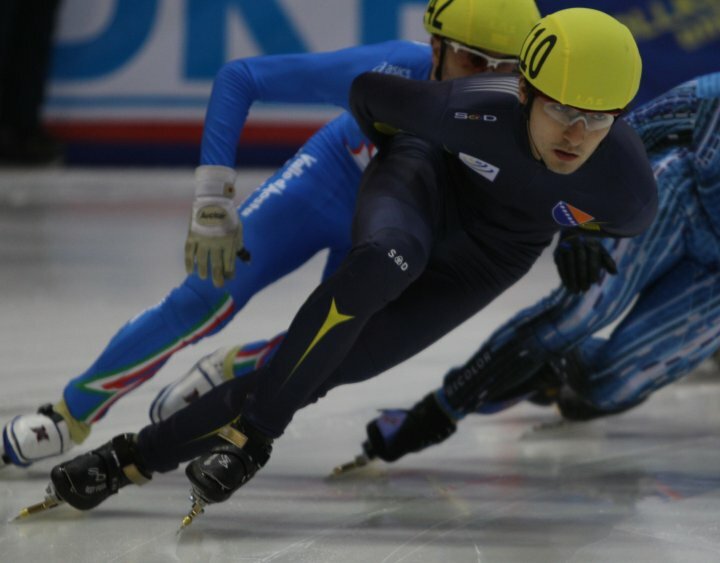 The competition brought together 51 of the best short track speed skaters from 31 countries from around the world, Edin finished an impressive 25th in the 1500 meters. The result of day two was fantastic and is so far the best placement in senior world competitions. With this performance, Edin confirmed his quality and remained high on the ranking of the best short track speed skaters in the world. If he was just slightly faster he would have qualified for the semifinals and climbed to the top. To start with, can you please tell us something about yourself. 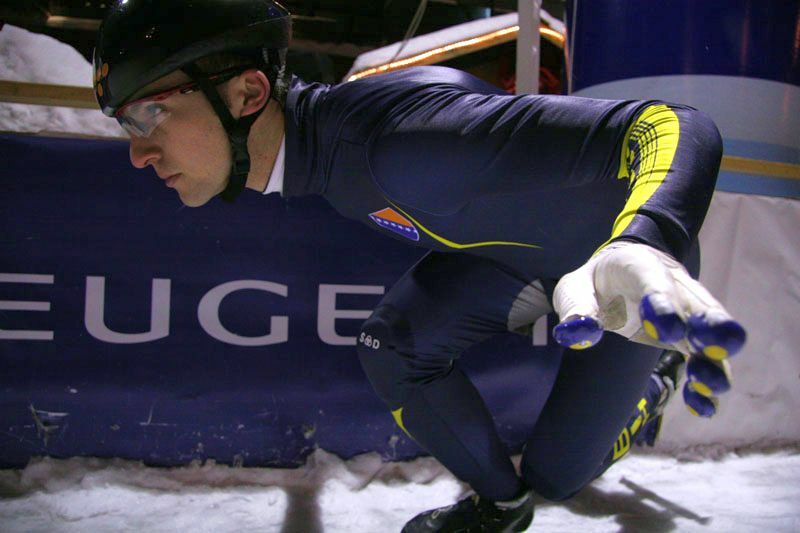 I am Edin Branković, national representative in Olympic sport Short track speed skating and, at the same time, a Young Ambassador for the Youth Olympic Games. 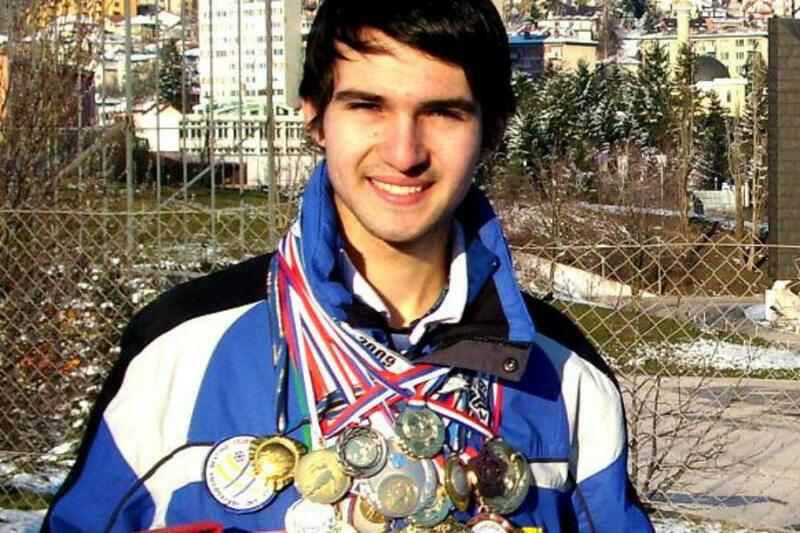 You are known as a true ambassador of sports in BiH and one of the best speed skaters in the region. When did you start speed skating and who talked you into it? I’ve started skating in 2001 on the outdoor ice skating track in Sarajevo. I was training soccer for 6 years and then my mother suggested skating. It interested me a lot and I have continued. Some of your enviable titles are state champion in 2014, 500, 1000 and 1500 meter record holder, finalist (Dresden), semi-finalist in 2010, 2011, 2012 and 2014 at the World Cup. How would you describe your way of success? My way to success was spontaneous. Each year, from junior category until now, I have been striving to achieve better results. In 2002, I went on first competitions and I won first medals. After those competitions I trained for many years in different training camps in Europe, Asia, and North America which helped me to be better each year. I finished junior category with top 10 ranking in the World on 1500m. After this result, I continued gaining achievements for my country. During my studying I was elected a Young Ambassador by National Olympic Committee and International Olympic Committee. In the battle for qualification from 22nd to 51st place at the World Championships that was held in South Korea, Seoul, from the 11th to 13th of March this year, you won in your group with a time of 2:21.000 and finished 25th! This is a historic success for the region, can you tell us more about the competition, emotions, preparations, etc.? World Championship in South Korea was the most important competition for me and for all other athletes in this season. I am very happy and content with my ranking in the race. This season was the 2nd most successful in my career and I’ve managed to skate my best results in the last few years. I am thankful to the teams of Belgium, Italy and China with who I trained hard to reach those goals. At the same time, I am proud that I can wear national shirt of my country and represent multicultural environment. You are the 25th best skater in the world, are you satisfied with the success that you have achieved so far? Yes, I am satisfied with the result on the WCH. This result encourages me to train harder and continue my success even though I cannot train so much on the ice in my home country due to lack of facilities. This result gives me confidence to be optimistic and have realistic expectations for the Olympics 2018 qualification. Do you have the support of the government and the state? In this skating season I had support from Ministry of Civil Affairs and the Sarajevo Canton. There is support, but it is not relevant to compare it with support that my colleagues get in their countries. For example, I take part in competitions alone, without team staff. Regardless of the fact, the National Skating Federation and Skating Club the One supports me and we manage to achieve great success. Overall, I do not pay attention to those obstacles; I train hard, study and look forward to new achievements. What would you say to young people who want to play sports but keep running into various obstacles? Keep doing what you love, even though intensity of training may sometimes be weak because of obstacles, it is important to keep moving forward.